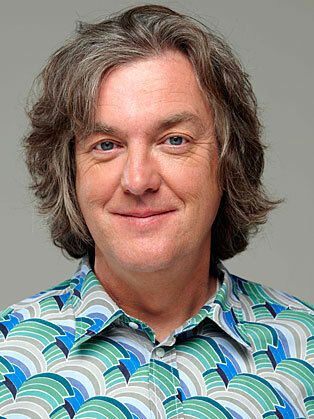 James May is a popular English television presenter and journalist known for his role being a co-presenter of the motoring programme Top Gear to complete the trio with Jeremy Clarkson and Richard Hammond. He was even nicknamed as “Captain Slow” because of his careful driving style and also regularly finishes last in the hosts’ high speed track races. It was the job of May to present programmes which have themes regarding science and technology, wine culture, toys, as well as the plight of manliness in modern times. Back in 1999, May appeared on Top Gear but the show got cancelled due to poor ratings. But the show bounced back and re-incarnated itself in 2003 and he became one of the hosts as well. May started his journalism career through the magazines “Autocar” as well as “The Engineer” where he took the sub-editor role. This was his former job before he became a television presenter thanks to his vast motoring knowledge. Add to that, he also got to a regular column England Made Me in Car Magazine. This TV presenter also has a few books and works written under his name. He also wrote a weekly column for The Daily Telegraph under the monitoring section. May on Motors (2006) is a collection of his published articles. He also co-authored Oz and James’s Big Wine Adventure (2006) which was based on the same name of a TV series. Alongside Richard Hammond and Jeremy Clarkson, May will be co-hosting a new car show available exclusively to Amazon Prime customers in 2016.